Looks like a nice ride. What was the thinking behind the rear wheel upgrade? I like the idea of a trike for commuting, but unfortunately it is a bit harder to travel with than a conventional bike. I suppose if the goal is riding on rail trails and such, you could treat these the same way you treat a snow machine and trailer it! The larger rear wheel speeds up the trike (same rear cassette), and also smooths out the ride somewhat. 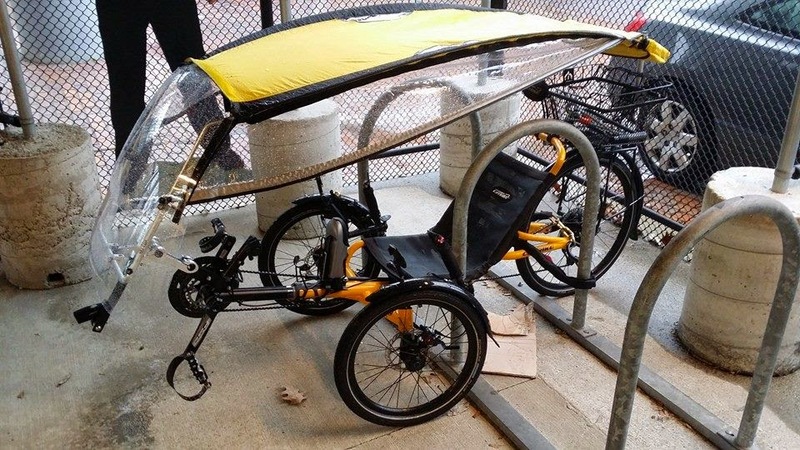 There are folding trikes, though this isn't one of them, and some people also use rear racks or roof racks. This one fits inside the car.